Dr. Courtney Bell is a passionate Suzuki cello instructor, inspiring students to love music first and map their individual musical journeys second. Conveniently located in Saint Paul, MN, Courtney works with students across the twin cities from the earliest ages to any age at which a student agrees to continue their studies. Having completed a Doctor of Musical Arts in Cello Performance at the University of Minnesota in 2017 (a student of Tanya Remenikova), Courtney is now focused on honing her pedagogy with continued Suzuki Method training and a post-baccalaureate certificate in k-12 instrumental music education. Other completed degrees include a Master of Music in Cello Performance from the Hartt School of Music at the University of Hartford (under Professor Mihai Tetel) and a Bachelor of Music in Cello Performance at Stetson University (under Professor David Bjella). She is currently registered to teach books 1-4 as a member of the Suzuki Association of the Americas. Having studied the cello since 2001 and taught since 2010, Courtney has cultivated a philosophy that emphasizes working smart, not hard. In alignment with the Suzuki Method, she is committed to the belief that every child can learn when the parent, teacher, and student work as equally critical partners. Additional experience working with young cellists comes from her summers as the cello teaching intern at the Upper Midwest String Camp in St. Joseph and counselor at Michigan’s Blue Lake Fine Arts Camp where she lived alongside campers and served as a musical mentor. Courtney has previously worked closely with the Greater Twin Cities Youth Symphony as the rehearsal assistant for the novice orchestra, Philharmonia East. She continues to successfully prepare students for entry into the program. Courtney designed and taught her lecture course “Music and Terror: The Lives of Prokofiev and Shostakovich” as a University of Minnesota Osher Lifelong Learning Institute Scholar Adviser in spring 2017. Courtney is an active performer, having participated in diverse performance projects that are primarily theater based. Professional Minnesotan theaters Courtney has played for include Old Log Theater’s production of “Ghost the Musical”, 7th House Theater’s critically acclaimed new musical "The Passage: Or What Comes of Searching in the Dark”, Mixed Precipitation’s touring theater in their original production of “Donald Giovanni in Cornland: A Picnic Operetta” and the Yellow Tree Theater, appearing in their productions of “Next to Normal” and “Violet“. In 2014, Courtney was a featured artist in the award-winning Spirit of Broadway Theater’s production of the new musical “Bleeding Love”. Courtney regularly performs with professional regional orchestras including the Mankato Symphony Orchestra and the La Crosse Symphony Orchestra. She appeared with pop artist Michael Bublé during his 2013 Hartford performance of the “To be Loved” tour. From 2009-2012, Courtney performed with Stetson University’s endowed and elite Barron String Quartet as its cellist and manager. Summer programs she has attended include the Northern Lights Music Festival, Brevard Music Center, and Credo Chamber Music Festival at the Oberlin Conservatory. At Blue Lake Fine Arts Camp, Courtney held a leadership role among the counselors in the staff Festival Orchestra and was chosen as the cellist of the staff string quartet. Other major honors include winning the 2008 Florida Young Artists Orchestra (FYAO) Concerto Competition, and receiving the FYAO Tabachnik Scholarship for leadership and musicianship. She is a sister of the national fraternity Sigma Alpha Iota for professional women musicians and a member of both the Suzuki Association of the America and the regional Suzuki Association of Minnesota. Courtney ultimately aspires to become a college professor of cello. She hopes to use her position as a music instructor to teach topics in Russian music history, a genre that has inspired her throughout her musical career. 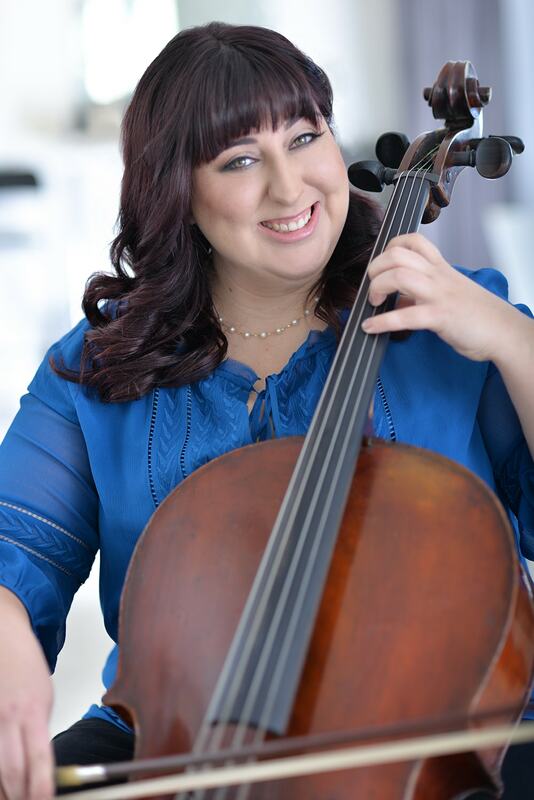 Courtney teaches Suzuki cello lessons and traditional lessons in Minneapolis and St Paul, MN.